News coming out of Overland Expo East this week (Nov 2018) suggests that Iglhaut, one of the big German 4×4 Sprinter conversion companies, will be accepting orders in the USA soon. That means true 50/50 split full time 4×4 with locking differentials. But it isn’t cheap. Sad news for Blue Sea Systems and the 75 people who work in their Bellingham, WA warehouse. On Nov 11 2018 they had a fire that has caused serious damage to the building, with no word yet on whether their stock was affected. The full details of the 2019 update to the Sprinter have been released now. The new van has a longer-looking “snout”, updated cab interior, but almost identical load area. Mercedes will offer a gasoline version in North America but it’s not clear whether we’ll get the new front wheel drive version. There’s a copy of the 2007 Sprinter service manual circulating online. Most of the content of that manual is still applicable to later model Sprinters, although it’s obviously missing information about the DEF, DPF and other emissions systems. 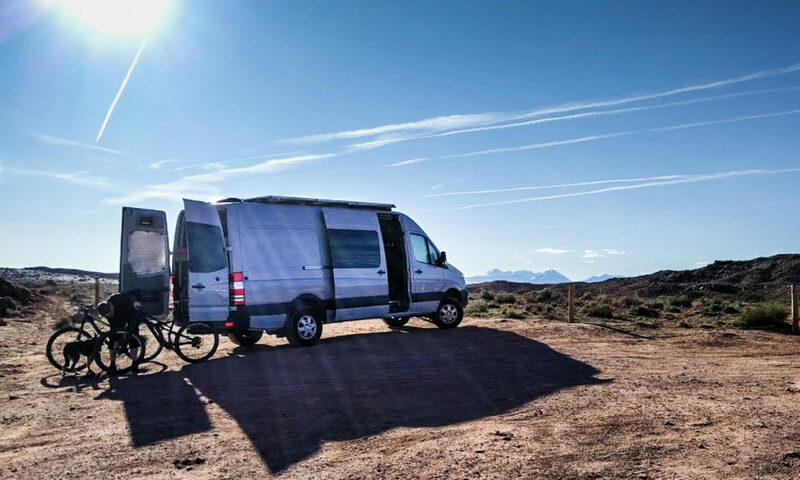 Here’s a list of most of the options you’ll care about, what they really mean, and whether they’re worthwhile having for a conversion van. For such a big van, the Sprinter has terrible key fob reception for locking and unlocking the doors. Most of the time, you have to be within 20 feet of the vehicle for the remote control to work. There are a couple of things you can do to improve reception though.